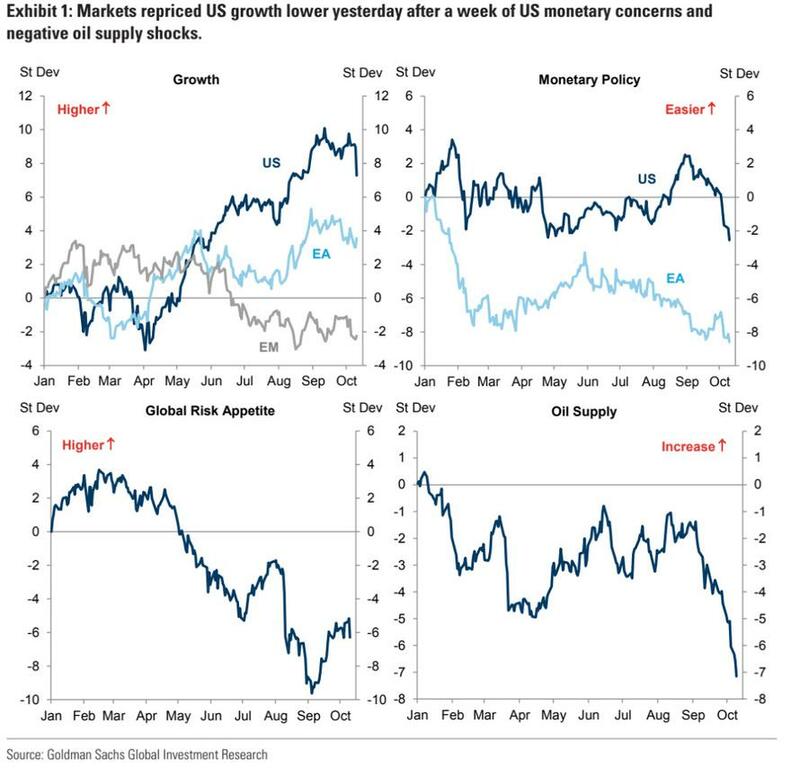 Goldman Explains The Drawdown: "Markets Repriced US Growth Lower Yesterday"
Goldman uses their new "macro factors" - which identify seven core macro themes distilled from daily market moves in 28 benchmark assets across equities, rates, credit, FX, and commodities. These macro themes are charted below, and consist of a global risk appetite factor, three global growth factors (US, EA and EM), two global monetary factors (US and EA), and global oil supply factor. Based on this, Goldman's initial take is that yesterday’s correction was primarily a "US growth-off" event. 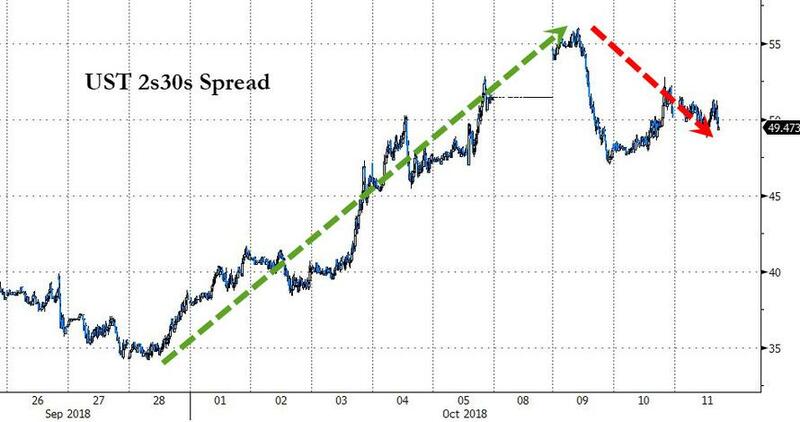 While there were no obvious catalysts in the headlines, we think yesterday’s growth repricing helps square the circle with last week’s sharp repricing of monetary policy and oil supply. Both of these moves in our factors were large enough to drive a simultaneous “growth off” and “risk off” repricing, but didn’t at the time. As a reminder, the curve is on course to invert in 2019, according to Goldman’s yield forecasts. The bank forecasts the two-year yield will be above that of the 10-year at the end of the second quarter -- after finishing even (with each at 3.2 percent) as of the end of March.